A bustling all-rounder who always carried a fighter's attitude in his pocket and a charming smile on his lips, Ronnie Irani made for a colourful (and eye-catching) cricketer during his playing days for England. A member of the 2002 NatWest Trophy and 2003 World Cup squads, two tournaments that most Indian fans of that era have etched in their minds, Irani, of Indian descent himself, stood out for his expressive demeanor and match-winning all-round skills on the field. 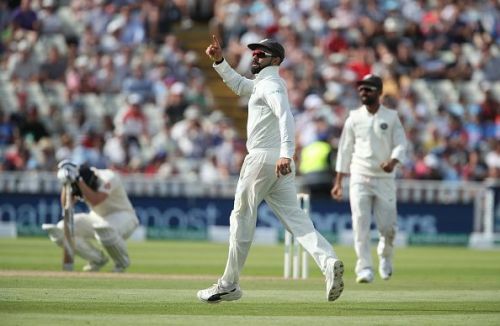 Close to 60 years after Jimmy Irani, Ronnie's father, took a voyage from Bombay to play club cricket in Bolton, an 18-man strong side flew out from India, with the challenge of claiming their first Test series win on English soil since 2007. Having retired from the game the same year India clinched that series under Rahul Dravid 1-0, Ronnie Irani, now handling an insole business named OrthoSole, took time off his busy schedule to speak to Sportskeeda about the lip-smacking series that lies ahead. The second part of this conversation, where he recollects his career, and his Indian connection, will be out soon. Days before the first Test at Edgbaston, Irani witnessed, from close quarters, India's preparation in the lead-up, keeping a close eye on Ravi Shastri's modus operandi at his club, Essex. "You can't ask for a better preparation for the Indian team, at least from what I witnessed Shastri and his coaches doing". "I was watching Ravi (Shastri) in Essex, the way he was preparing the team, talking to batsmen like Virat Kohli and Chesteshwar Pujara, speaking about the spinners' influence on the result - you cannot guarantee a win every time, but what you can guarantee with this Indian team is a world-class performance. That's what Shastri gives you. When India play, they fight, they try to win every single game". The 46-year-old was part of the Test team that hosted India back in 1996. That Indian side, led by Mohammad Azharuddin, succumbed to a 1-0 loss in the three-game series. From the current team, Irani singles out captain Kohli as the man to watch out for. "India've got a couple of world-class batsmen, headed by Virat Kohli, who is arguably the best batsman in the world currently - there are no doubts about it. For me, whatever problems he had before will not affect him". "I am sure he's going to have a tremendous summer, you can see it in his eyes, he knows what has to be done and he looks in great shape". Irani reckons that the Indian spin department can turn the heat on the English batsmen, especially after a dry summer. 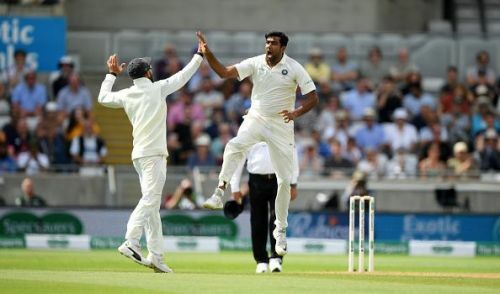 "There are three great spinners in the Indian side: England have proven over the years that they don't quite get it right when they lose wickets in clusters, especially when the spinners are at the top. As the game progresses, the pitches will get drier and drier". "Ashwin, Jadeja and Yadav are phenomenal spin bowlers, if they get set, they will be really difficult to play". While there was a lot of brouhaha (and mixed opinions), regarding the toss-up between Ravichandran Ashwin and Kuldeep Yadav for a slot, Irani feels there's enough scope for both of them to be inducted. "I don't think it is necessarily negative to play them both (Ashwin and Kuldeep). It's been such a dry summer". "When they are not going for too many runs, they do create pressure". "One thing is for sure - the main man behind all this, Ravi Shastri, will have this covered. He is going to be mindful of what's going on. Whether they perform and do well on a day is up to them". 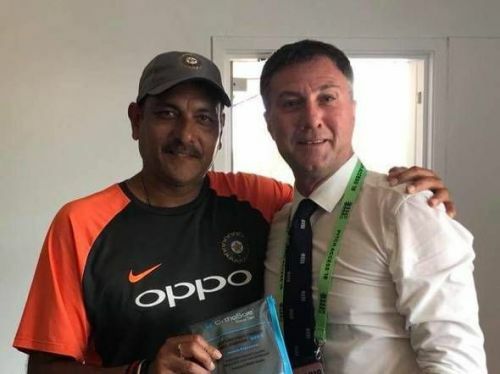 Irani reckons that Shastri, who himself played a considerable amount of cricket in England, including four seasons for Glamorgan, will have tricks up his sleeve to counter Joe Root's army. "Ravi is a smart guy, he's played a lot of cricket in England and all around the world. He's a people person. He knows how to get a job done out of a person. India are in great hands with Shastri at the helm". One of Shastri's pupils, who essays much of the same role Irani used to for his side, and could be more than useful in English conditions, is Hardik Pandya. Irani reckons that, under the tutelage of Shastri, young guns such as him can shape Indian cricket's future. "He (Pandya) has good skills and can certainly adapt to the English conditions. India have got a good squad - there were names like Tendulkar, Ganguly and Dravid earlier, and now there's Kohli and Ashwin". "But the young guys are here and now. These little ones will lead the way for India in Test cricket and achieve huge success under the guidance of Shastri. They will improve every single day". "Some of them will have a fantastic summer," he predicts. Closer to home, Irani reckons that Joe Root will be the key for his side to reverse the scoreline of the T20I series, and claim honours in the five Tests. "Joe Root is a great player. He is right up there with Kohli. He's one of those players who, if he gets going in the series and plays well all summer, will certainly be pivotal to England's success". "Adil Rashid's inclusion is a massive thing for India. They (England) turn their heads towards players who really don't dedicate their life and time to the longer format, that's telling India something". "It's a massive positive for India". "If they believe Rashid is the best England can manage right now, they should back him. If they believe Rashid is the best player, I am all up for that. If he's the best we've got, then he should play". "It is a great sign for India that England are playing the spinner - they are indicating that they need spinners on these pitches and in these conditions". When asked about who he predicts could end up claiming the series, Irani put his money on England but warned that India could really have a surprise in store. "England are going to start favourites, Obvious comment for me. But India are the real dark horses. They can be very difficult to stop, especially with their spin department. The wicket is going to spin, and that is a massive positive for India". 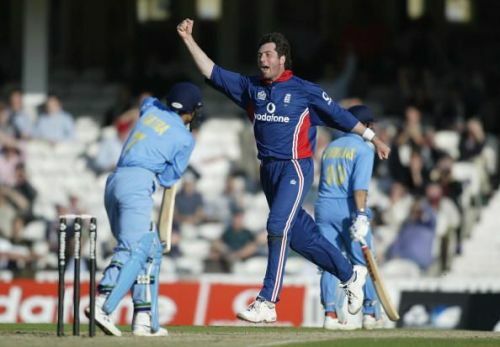 "India could come in like a tidal wave"
"England are the favourites, they should win the series. Ravi Shastri has to mastermind something very very special here". And one battle he is really looking forward to is the highly-anticipated Virat Kohli-James Anderson face-off. Irani believes Kohli's 2014 travails are behind him. "I think India have got the upper hand in that one (the Kohli-Anderson rivalry). I'm backing India to come good in that. Can't wait".